Lose weight, improve your health and your energy levels without feeling hungry... and without giving up your favourite foods. The answer is here in this handy pocket GI counter. Learn how to use the glycemic index to change your eating habits to achieve a healthy, sustainable way of life. 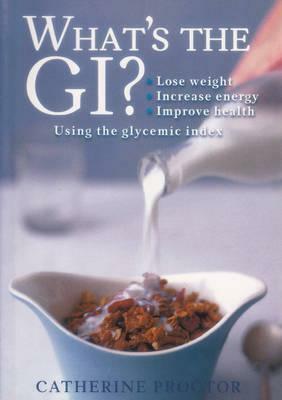 * Find out what the glycemic index is all about and the health benefits of eating low GI foods. * Includes GI ratings of over 500 foods including restaurant meals, in three easy reference tables. * The take-anywhere guide - use it at supermarkets, restaurants, and at home. Catherine Proctor is a writer and editor specialising in health books, and runs her own cookery school. She is also the author of High Flavour, Low Fat, How Much Carb? How Much Protein? and Children's Birthday Parties.